关于凯特 - Hangzhou Kaite Electric Appliance Co., Ltd. Founded in 1992,Hangzhou Kaite Electrical Appliance Co.,Ltd. is located in Sandu Industrial Zone of Jiande, a city in west Hangzhou. The company lies right beside the enchanting Xin’an River and possesses convenient transportation since it is only 7 km away from the Hang-Xin-Jing Expressway and Hang-Huang High-speed Rail. The company covers an area of more than 20000 square meters and the construction area is over 40000 square meters. Our company is a large-scale manufacturer enterprise which is an integration of product design, production and manufacture as well as selling business. The company currently occupies ten workshops, namely, the Mould Workshop, the Granulation Workshop, the Copper Wire Workshop, the Bracing Wire Workshop, the Plug Workshop, the Injection Molding Workshop, the Switch Workshop, the Stamping Workshop, the Silk-screen Workshop, and the Assembly Workshop. Our company is equipped with the advanced product laboratory and a professional quality management team which consists of more than 50 members. The company began to form the product research and development team since 2004 and has a 30-member team till now. The members have developed a series of new products with the capability of developing over 5 new products monthly. These products have obtained 8 National Invention Patents and 52 National Utility Model Patents. 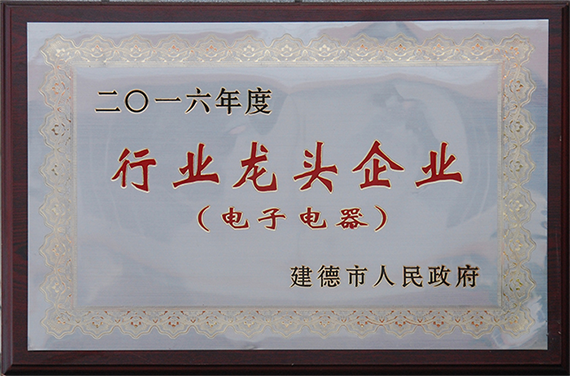 In the year of 2013, our company was admitted as a Hangzhou Innovative High-tech Enterprise, and was evaluated as the leading enterprise in low-voltage apparatus industry of Jiande City. Our major products are American, Chinese, European, and Australian standard power strips, extension cords, intelligent sockets, adapters, remote controls, timers, chargers, booster cables, LED lights, engineering plastics (ABS plastic particles, and PVC plastic particles), etc. Our products are mainly exported to USA, Canada, Mexico, Europe, Australia, Southeast Asian countries and are also sold domestically. Our annual production capacity is as follow: 30 million pieces power strips, 25 million pieces extension cords, 1.5 million pieces intelligent sockets, 15 million pieces adapters, 10 million pieces remote controls, 10 million pieces timers, 8 million pieces battery chargers, 5 million booster cables, 5 million LED light, 20000-ton ABS plastic particles, and 10000-ton PVC plastic particles. The products of our company have won the trust of renowned foreign and domestic clients. In the year of 2015, our company started to put the domestic products of brand Dazhi into production, which are better than the other domestic similar products in quality. Carrying the Chinese dream of marking MADE IN CHINA popular throughout the world and adhering to our company belief of providing human beings with the meaningful, creative and the securest products, Kaite Electrical Appliance promises to extract the unprecedented industry and product value for all the customers and clients who trust Kaite with the assist of the times in order to achieve the enterprise value of Kaite itself. To response the summoning of the ideals, Kaite Electrical Appliance shall remove all the super facilities and boldly and resolutely accomplish the target of reaching the gross sales volume of 1 billion USD in 2020. In the meanwhile, we will work hard and make our best efforts to promote Hangzhou Kaite Electrical Appliance Co., Ltd. as a public company and one of the national top 500 companies to trumpet our triumph.